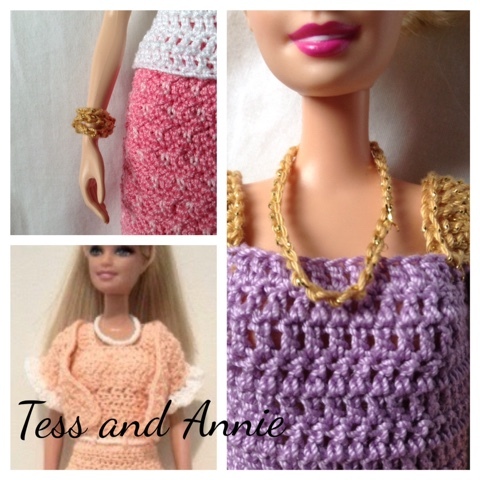 Here are some patterns that will show you how to make some simple Barbie jewelry. Enjoy! With thread and hook, ch 40, join to 1st ch, fasten off, weave in all ends. With thread and hook, ch 12, sl st in 1st ch, fasten off, weave in all ends. Take a length of thread or cord and bead until it reaches desired length. Tie ends securely.